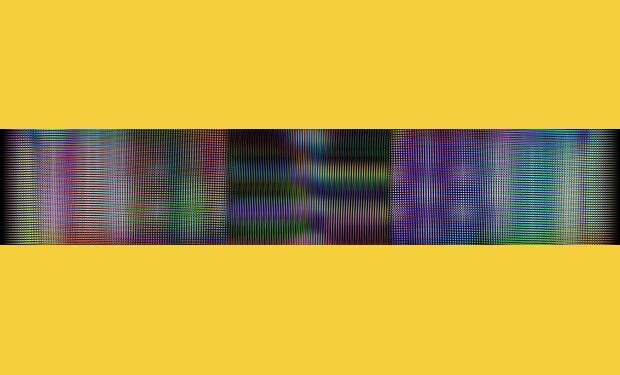 September 29, the Detroit Regional Convention Facility Authority launched its digital art series on the marquee with inaugural artist Dennis Summer, and his award winning "Cross-Frequency Coupling." The 3.8 million diodes in Cobo Center’s marquee digital sign are an impressive new vehicle for artists to display their work for millions of people, thanks to a matching grant from the John S. and James L. Knight Foundation. A new artist will be featured each month to downtown Detroit residents and visitors via the marquee 24/7. 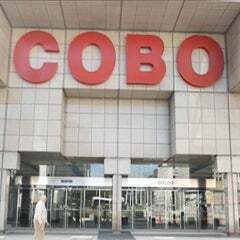 Cobo Center will present a monthly series of digital art on the marquee, making Cobo Square – the large public plaza outside that was created as part of Cobo’s $279 million capital improvements – a prime gathering place and viewing area. A library of videos will be created that we will continue to show for an agreed-upon length of time. There also is a plan for a “streaming station” that will allow visitor access to audio associated with the works of art. “Everywhere you go in Detroit, in your car or on foot, we’d like for you to have an encounter with art. 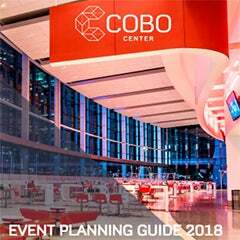 Cobo Center is providing a large-scale platform to help accomplish that,” said Victoria Rogers, vice president for arts at the Knight Foundation. The big video screen contains a total pixel count of 2048x384. The screen has the ability to present images across its full width, in three 16 feet by 9 feet sections, and a variety of custom configurations. The system has the ability to deliver localized audio. 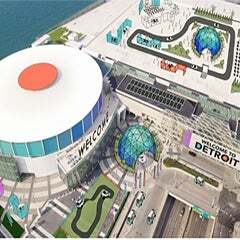 Through this program, Cobo will present spectacular art in downtown Detroit, drawing attention to the creative spirit in the city, and encourage regional artists with this additional medium to present their work.